Winter is still upon us, but our current cold and ice won't last forever, and ultimately there will be green grass. There are many activities to dream about with the thought of warm weather, such as taking long walks and bike riding. Bike riding might be off your radar right now, but now is the time to consider if you want to keep your old bike or go with something new, such as the Mobo Shift 3-Wheel Recumbent Bicycle Trike. What is a Mobo Shift 3-Wheel Recumbent Bicycle Trike? Well, I’m glad you asked. 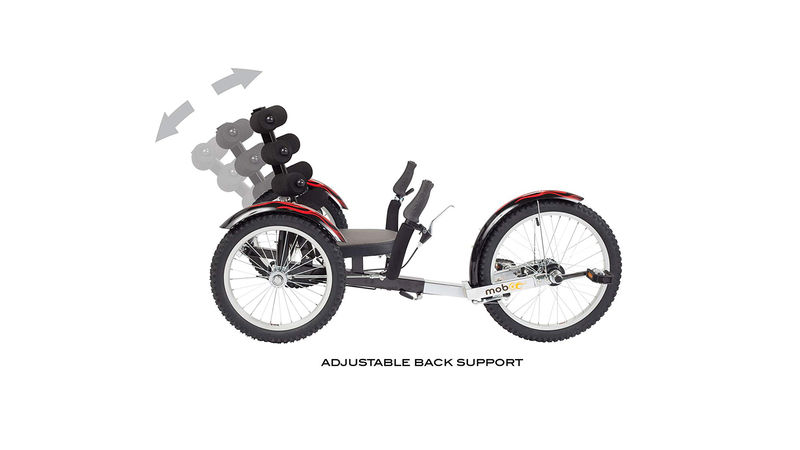 As you may have guessed already, the mobo shift is a first and foremost a recumbent bike, so there’s less strain on your back and joints, meaning a more comfortable ride. The mobo shift recumbent bicycle comes with a low center of gravity, providing those with balance issues a great riding experience. The dual-joystick steering feature offers the rider ease of maneuverability with simple hand movements. 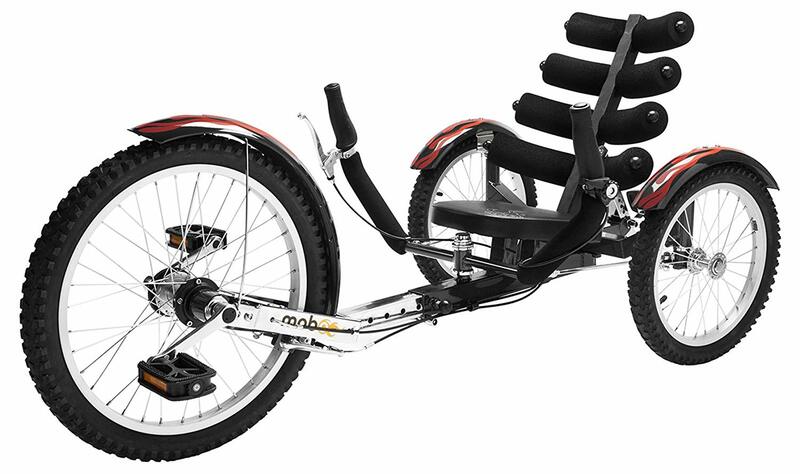 The mobo shift is also a reverse recumbent trike. In other words, this mobo adult tricycle is equipped with a reverse gear, making it easy to go backward. Another feature worth noting is the ease of adjustability. The mobo shift reversible ergonomic cruisercomes with an adjustable trike bicycle frame enabling riders from 4’0” to 6’3” to have a memorable ride. Even the back seat is adjustable with six angle settings. What are others saying about the mobo shift? Do others like having a reverse steering bike? One reviewer enjoyed taking her bicycle trike while taking dogs for walks. The same reviewer pointed out that the mobo shift is best on relatively flat terrain and not very effective over long distances. Other reviewers raved about how well the bike handles for those with disabilities. For instance, one born with Spina bifida used his reverse tricycle bike to stay in great shape. Another expressed the gratitude of how the recumbent trike gave her disabled 13-year-old son an active lifestyle. Other reviewers had great things to say with regards to customer service and the ease of assembly. One boasted that it only took 30 minutes to put the bike together. Still, another commented about going close to 300 miles on his bicycle trike. Some reviewers pointed out some of the drawbacks to the mobo shift reverse tricycle bike. One such feature is, only having one forward speed. One even lamented about not being able to keep pace with a jogger. But despite the drawbacks, the mobo shift gives those with disabilities and past hip surgeries an active life and an excuse to get out and enjoy scenic bike trails. It may not be the bike to use to win the next road race, but if you need a comfortable ride for your joints and back, then consider the mobo shift bike. Some will say they will think about bike riding in the spring but don't procrastinate when it comes to finding a fun way to get a great workout. The mobo bikes for adults give riders a great experience with the added bonus of a heart-invigorating workout. Don’t wait another day. Soon the birds will come back, the grass will be green, and you will be getting a great workout in shorts and a shirt. The only remaining question is if the workout will be in a joint stressing upright bike or in the comfort of a mobo shift 3-wheel recumbent. There are many ways to purchase your mobo shift 3-Wheel Recumbent Bicycle Trike. Get yourself to a store or look online for some amazing deals. Life is short, so get some exercise for your heart and enjoy the warm weather and moments with those special people in your life.